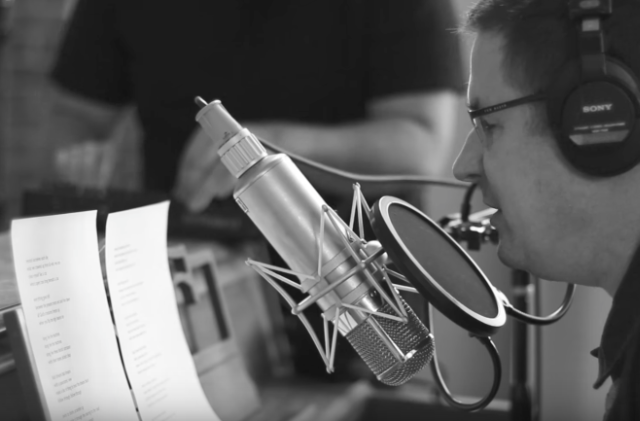 Joyful Noise Recordings released a video of The Mountain Goats performing an unreleased song for their Almost Live membership series today. Like all of the series’ performances, the band’s version of “From the Lake Trials,” was pressed to vinyl live, and is being sold in a limited edition. The minimal, plaintive track features John Darnielle on the upright piano, and like the songs of their last LP Goths from this year, eschews guitar entirely. The trio is filled out by saxophone punctuations and a tinny backbeat from a drum machine. “Long live the machines,” Darnielle sings in the first refrain, “Long live these blissful carcasses/With their bones picked clean.” The track is certainly worth your time, Mountain Goats devotees. Watch and listen below.